Castle Creations has become one of the world's largest manufacturers of electronic speed controls by combining state-of-the-art technologies with high volume manufacturing. The principles that helped us grow from one man with a desire for "something better" are still our driving force. We constantly work to bring our customers products that are unmatched in quality, design, and reliability at a competitive price. 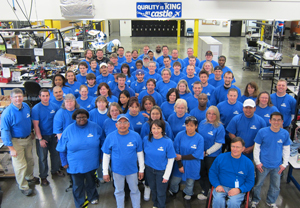 Every day we strive to provide superior products with unequaled service and support. Our technical support team has set the industry standard for knowledgeable advice, troubleshooting hints, and the most courteous customer service available anywhere. Castle Creations is located in a suburb of Kansas City. Through integrity and innovation, be the world leader in solutions to the industries we serve. Castle Creations is dedicated to engineering and manufacturing innovative, cost-effective and high performance solutions for the clients we serve.